Stay younger for longer and get the body you've always dreamed of. Join the health revolution taking the world by storm!Did you know that:* Most diets are unhealthy* Antioxidants don't slow down ageing* White tea reduces wrinkles and is good for heart and blood vessels* Walnuts can drastically cut your risk of a heart attack* Milk products aren't that healthy* A daily fruit and vegetable juice reduces the risk of Alzheimer's* Lots of different kinds of fats actually cut down your risk of a heart attackThe Food Hourglass is a revolutionary new look at how food influences the way we age. 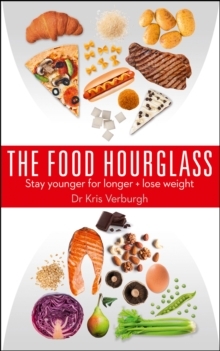 Based on the latest scientific discoveries about nutrition and the ageing process, The Food Hourglass shows you how to slow down the signs of ageing through what you eat, and lose weight in the process. The Food Hourglass has been an international number 1 bestseller since release, having sold over 250,000 copies in one year in the Netherlands alone. 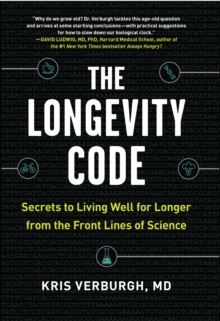 Written and developed by Dr Kris Verburgh, this book addresses health and weight loss from a unique new angle, namely `biogerontology' (the science of the ageing process), and introduces a revolutionary new food model, the food hourglass. Say goodbye the outdated food plate and food pyramid forever. The hourglass will show you how to immediately identify what is healthy and unhealthy food, and how to replace unhealthy foods with alternatives. The hourglass helps you lose weight, slow down the ageing process and reduce the risk of age-related diseases. Never before has such a food model been developed. The Food Hourglass isn't a diet - so it's easy to start and simple to continue. Just begin eating the right food at the right time to see a healthier, younger-looking you.